Training for service as a merchant marine engineering officer; more than 50 years experience operating, designing and building boiler plants both on and offshore; developing energy conserving ideas into working final designs; all combine to make Ken Heselton a resource unique to industry. Ken serves as the boiler plant specialist of several engineering firms. Ken was born Kenneth E. Hoose on November 17, 1943 in Corning, New York. He was adopted by his mother’s second husband, Richard L. Heselton at the age of seven. He grew up in the small town of Andover, New York, at 25 Grove Street where his nephew and family now reside. Ken met his wife Sue while in school and they just celebrated their 52nd wedding anniversary. Ken is a 1965 graduate of Kings Point, the United States Merchant Marine Academy, with a B.S. in Marine Engineering and licensed as a Third Assistant Engineer of Steam Ships and Diesel Driven Ships of All Horsepower. Between his third and fourth years at the Academy he sailed aboard the Taurus, a Military Sea Transport Vessel, as an Oiler to gain additional experience as a ship’s crew member. His second year of training at the Academy consisted of service as a Cadet aboard several steam ships standing watch and performing maintenance duties in addition to preparing class work mailed back to the Academy. His high school graduation in 1961 at Andover Central School, Andover, New York was shared with a class of 31 other graduates. Ken achieved the level of a license from the U.S. Coast Guard as a Second Assistant Engineer of steam ships and Third Assistant Engineer of diesel driven ships of all horsepower. He served for more than three years as an engineering officer on board several merchant ships. The experience of operating alone, in the middle of an ocean, generates a form of resourcefulness that is unattainable any other way. Convinced he could design better plants than the ones he was operating Ken jumped ship to do just that in 1968. He started with four years in the Central Engineering Department of Hercules Incorporated in Wilmington, Delaware. Serving as Engineer, Chief Engineer, and Manager of Technical Services for Power and Combustion in Baltimore from 1972 through 1994 he prepared proposals, designed the systems, watched over their construction and startup. He developed new systems and installations for hundreds of boiler plants. Power and Combustion service personnel reported to Ken throughout the one year warranty period so he was always aware of what worked and what didn't. Ken has a record of success with unique ventures in energy conservation and power plant design. At Hercules he shared the lead in scaling up an exothermic reactor by a factor of four to save over one million dollars in its construction. He designed and directed construction of the fume incineration system at Nevamar Corporation in Odenton, Maryland, which received an award from Power Magazine in 1981. In 1984 he designed a one hundred million btu per hour energy recovery project installed under his supervision at Bethlehem Steel Corporation in Sparrows Point, Maryland; it averaged fuel savings of over three million dollars per year until the plant was closed in 2003. He designed one of the first programmable controller based multiple burner flame safeguard (burner management) systems approved by underwriters. He designed and supervised installation of a boiler that burned waste product in the form of sawdust, fuel oil, and natural gas or any combination of those fuels simultaneously at Nevamar Corporation in 1989. He directed hundreds of "turnkey" projects before the concept (a combination of today's "design/build" and "commissioning") gained favor. Several plants were converted from coal firing to oil and more than one hundred to gas, gas/oil, or gas and oil firing using the turnkey concept. Turnkey converts an idea or concept into an operating plant. The owner is handed the keys to a facility that is designed, built, placed in service, and tested to prove performance; that's turnkey. Ken gained experience supervising accounting at Power and Combustion in his later years there and continued providing that service for a year after leaving their employ. Since January of 1995 Ken has operated as KEH Energy Engineering, a consulting service to professional engineers and contractors with needs for troubleshooting and design of boiler systems. He continues to provide engineering services for turnkey installations for his former employer. He has performed in depth analysis of several boiler plants in the Baltimore metropolitan area with recommendations for annual energy savings of several million dollars. He provides the required boiler operator training for reduction of NOx emissions to satisfy the requirements of the Maryland Department of the Environment. He is promoting additional training of boiler operators to recognize fuel savings and improved operating safety. He has identified potential fuel and electricity savings as high as one hundred thousand dollars per year simply by training the operators in two existing plants. Ken semi-retired in 2008 but continues to provide technical support in the design of piping systems utilizing CAEPIPE, a computer system that performs the calculations for stress and displacement of piping of a model input to the program. He is accepted by the Maryland Department of the Environment as a qualified instructor in combustion optimization; the state requires boiler operators received that training every three years. He uses that platform to train those operators in other means of reducing fuel consumption (and therefore reducing emissions). Ken and his wife have moved to Florida where he hopes to really retire with the exceptions of training of boiler operators (until he can find a suitable replacement for MDE), occasionally serving as an Expert Witness, and responding to any requests for guidance and information. Ken was employed as an expert in the analysis of failure of a new 250,000 pounds of steam per hour high pressure boiler belonging to Cornhusker Energy of Lexington, Nebraska, in 2009 and, for another failure in 2011. The Owner and the Boiler Manufacturer settled outside court in 2012 after Ken’s presentation of his rebuttal of the Manufacturer’s expert’s report. Ken was employed as an expert in the resolution of a claim regarding a potential design error by EMJAY Mechanical Contractors of Baltimore, Maryland, in 2011 wherein the design conditions of a new piping system designed and installed by EMJAY at the Jessup Correctional Institute was questioned. Ken provided a resolution to the argument that was accepted by all parties. Ken was employed as an expert in the case of BMAR vs. Midwest Mechanical regarding a boiler installation at Andrews Air Force Base in 2008. BMAR claimed Midwest failed to provide an installation of reliable boilers and Ken’s investigation revealed the Manufacturer of the boilers had changed specifications between order and delivery of the boilers that made them fail regularly. BMAR’s suit was withdrawn. Ken has served as an expert witness in one case that reached arbitration. Employed by Stauffer, Mannix, Rommel, Decker & Dulaney of McLean, Virginia, in 1994 on behalf of the Berkshire Apartments. He presented an opinion that a Contractor improperly assembled two field erected boilers in the apartment buildings which, as a result, exploded and, although somewhat operable, cost the Building Owner more than $350,000.00 in damages. The arbiters found for the Building Owner. 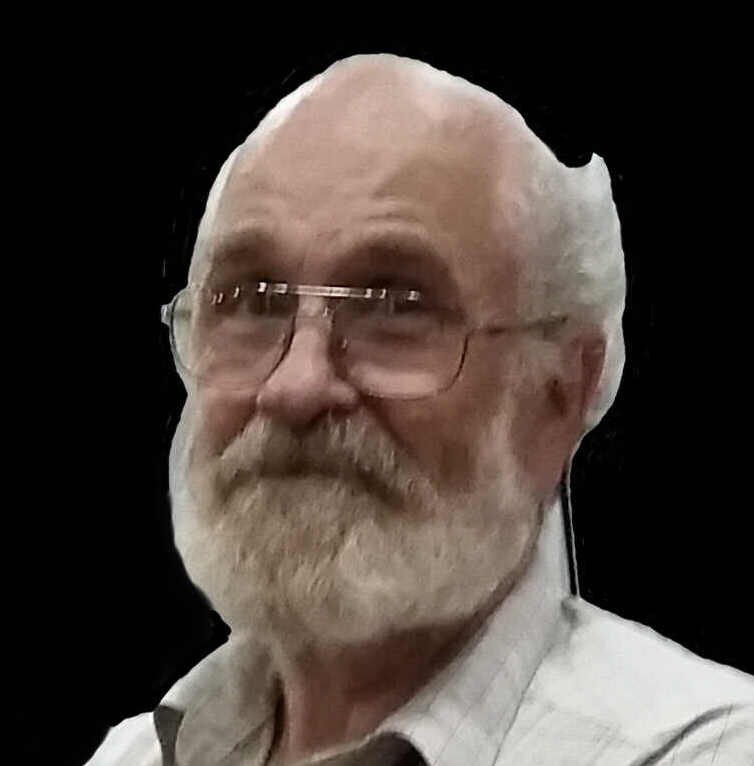 Ken is licensed as a Professional Engineer in the states of Delaware and Maryland pending their retirement, and has retired his Pennsylvania license. He was also a CEM (Certified as an Energy Manager by the Association of Energy Engineers) from 1983 until semi-retirement in 2008. Boiler Operator’s Handbook , Fairmont Press, ISBN 0-88173-434-9 (print) – ISBN 0-88173-435-7 (electronic) 2005. The second edition came off the press in early 2014. First Hand Experiences with Incomplete Combustion , on the Control Engineering Magazine web site, April, 2000. Cycling Efficiency: A basis for Replacing Outsized Boilers , Energy Engineering, Volume 95, Number 4, 1998. Ken served as a volunteer instructor at the Harford County Board of Education’s Environmental Education Center. Along with his wife, Sue, and several volunteers he introduces the students to wildlife study by bird banding. They provide instruction to all fifth graders in Harford County, Maryland. He is a former officer of the Route 40 Business Association, a volunteer for the Neighborhood Design Center of Baltimore and the Edgewood/Joppatowne Independence Day Parade Committee. He served for three years as co-chair of the Joppatowne Community Planning Council during it’s preparation of the Community’s master plan. He served three terms as President of the Eastern Bird Banding Association. Ken has always done his best to assist friends and neighbors in projects or solving of problems that required engineering knowledge.